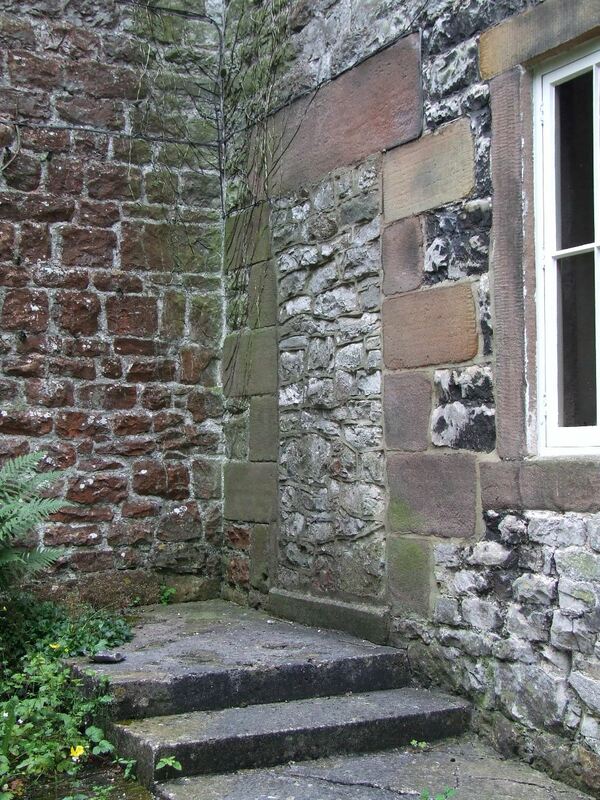 This Georgian house built around 1770/1780 has a particularly fine long Derbyshire stair widow on the garden front. In the 1843 Tithe map the domestic garden and orchard plots are as present. Below the garden is now a further orchard, but was then two separate houses with gardens. No obvious traces of these houses remain. 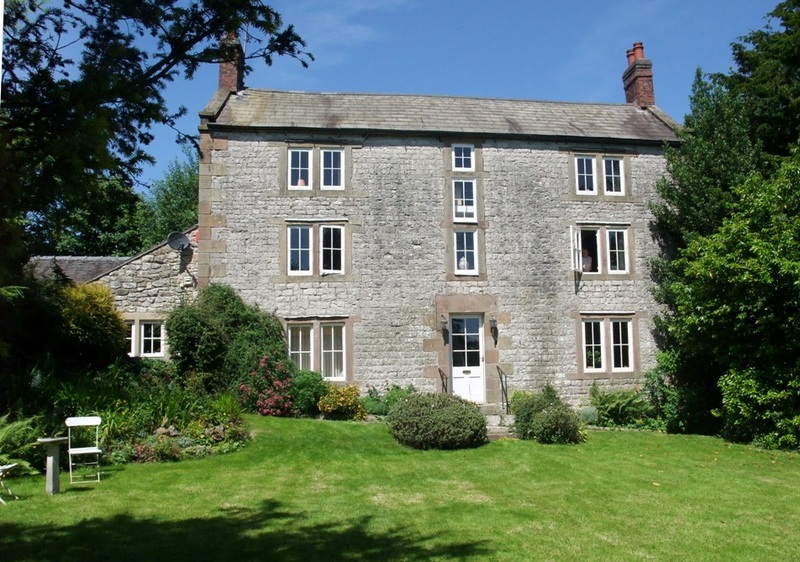 In the nineteenth century censuses one of these houses was inhabited by the blacksmith whose smithy further down gives Smithy Lane its name. 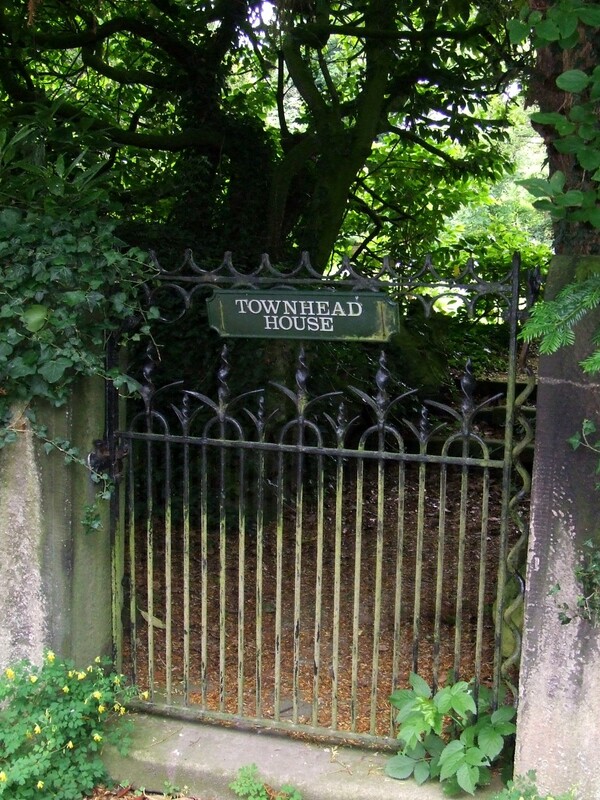 Townhead was relatively unusual for the larger Georgian houses in the village, as it was owned separately to the Parwich Estate. 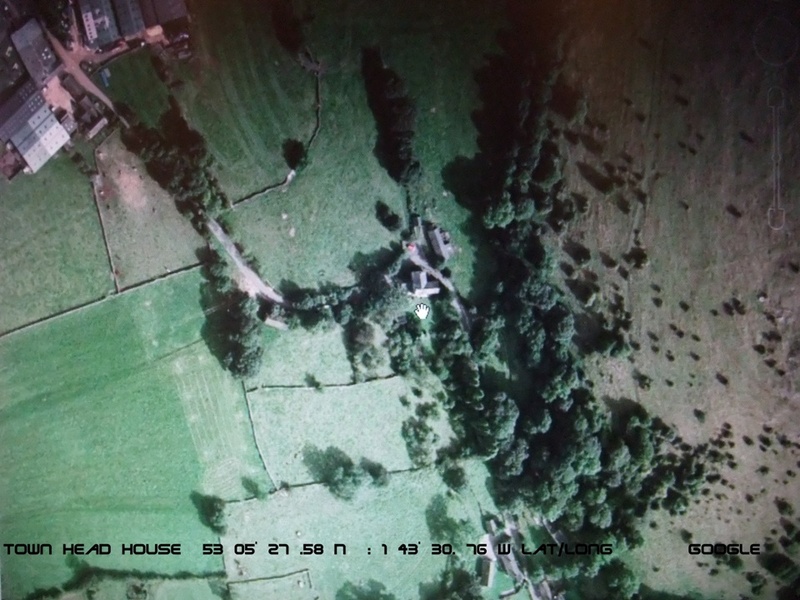 Its name refers to the fact that until the establishing of the post-Enclosure Act farms, of which the neighbouring Foufinside was one of the earliest, it was the last house in the parish. The was also a further green here, known as Town Head Green. The lane as it runs along side the garden is worth examining as its narrowness and sunken nature indicate it is likely to be an ancient route out of the village (see Francis, 2001). The gardens during Mary Brownson’s tenure as well as having peacocks, were sufficient to warrant a live in gardener: James Hopkins who was aged 30 in 1891. 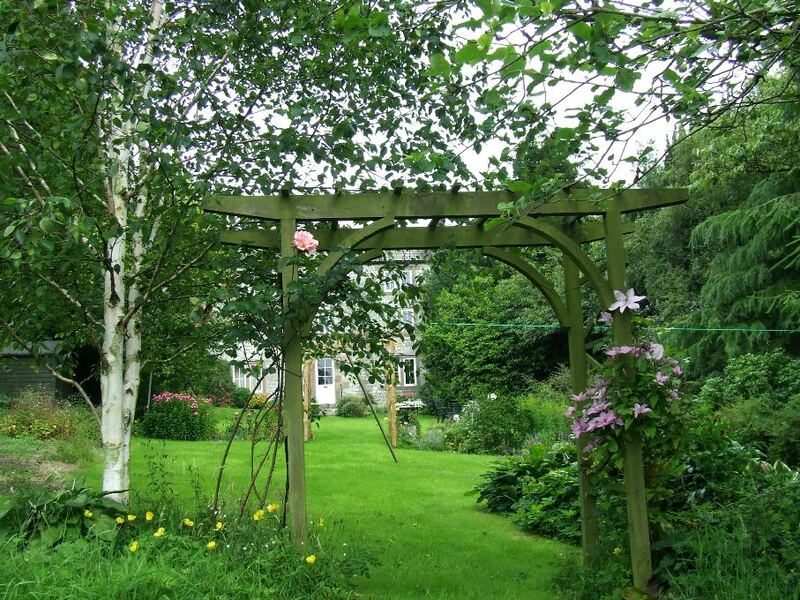 The censuses only list one other gardener in the village at the time who is thought to have worked at the Hall. 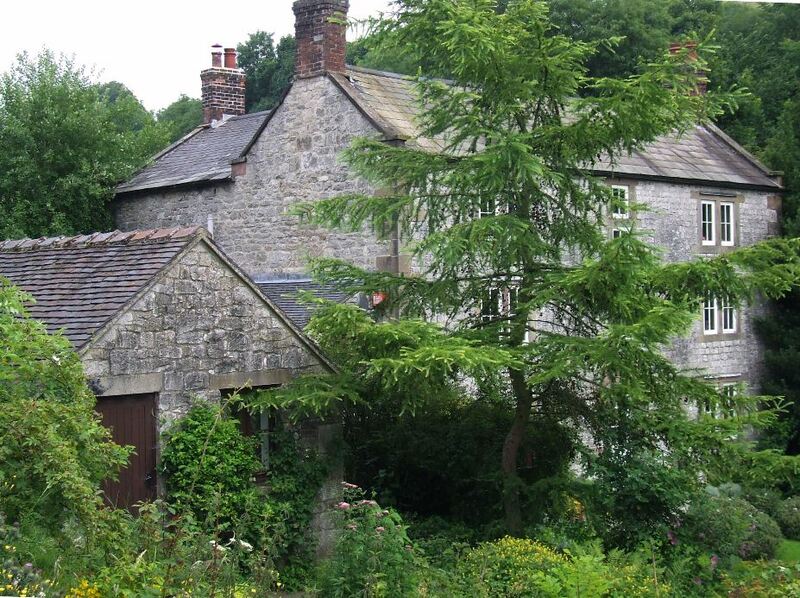 Of Mary Brownson’s garden, a number of old yew trees and a fine beech tree remain. Also the splendid old wrought iron gate and the unusual tufa rockeries next to it would probably be recognised by her. In the early 1900 a doctor rented the house. Wallace Wrigley Brownson was the last of his family to live at Townhead. He died in 1942. 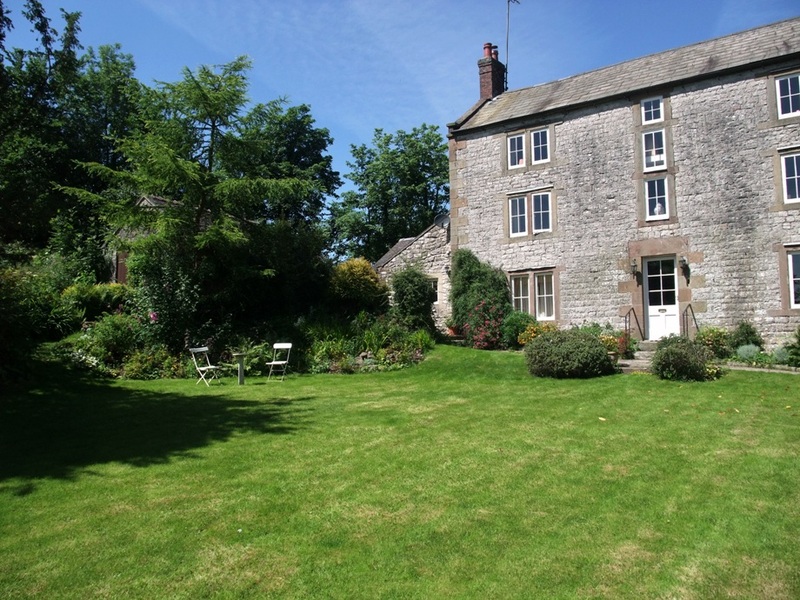 The Brownsons sold the property as a working farm to George Staley in 1943, and it continued as such until the farmland was sold to Foufinside Farm in the early 1980s. The (previous) owners bought the house in the late 1980s … … …. , when the garage was built on the site of the cow shed. The house was altered in the 1990s when the existing kitchen (formerly the dairy) was enlarged, and the other outbuildings restored. 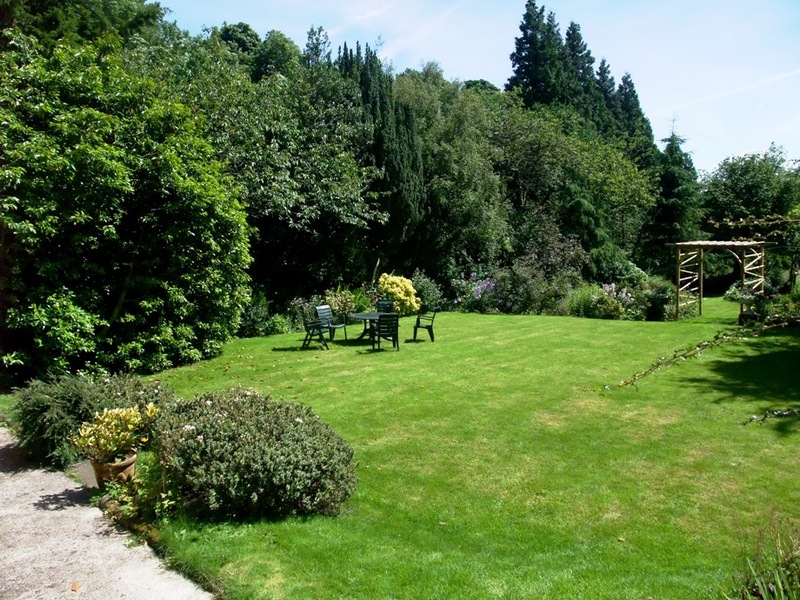 The previous owners had laid the lower lawn on the former kitchen garden, and the present owners joined the two parts of the garden, placing the pair of urns to mark the way through. They also placed the old stone salting sink in its present position. Before this it had been in use in the house, upside down, as a table. 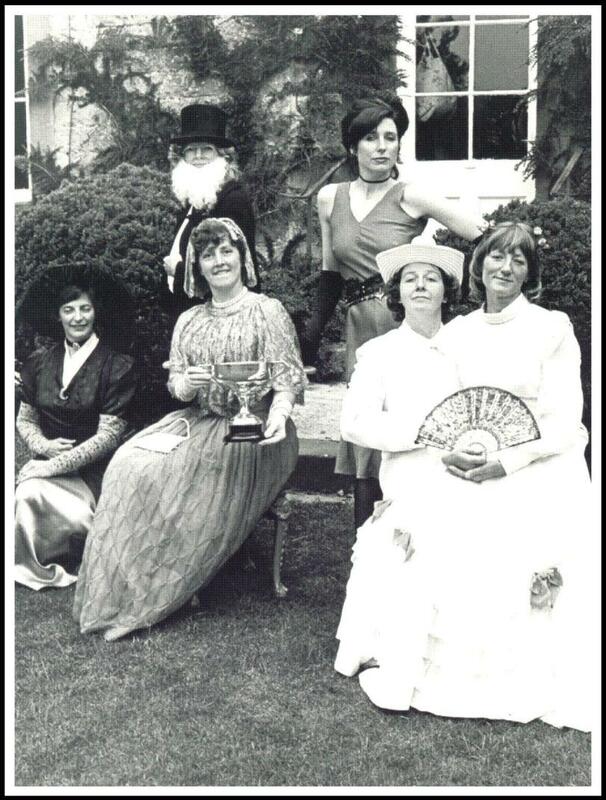 the 1982 Women’s Institute Drama Festival with their trophy. 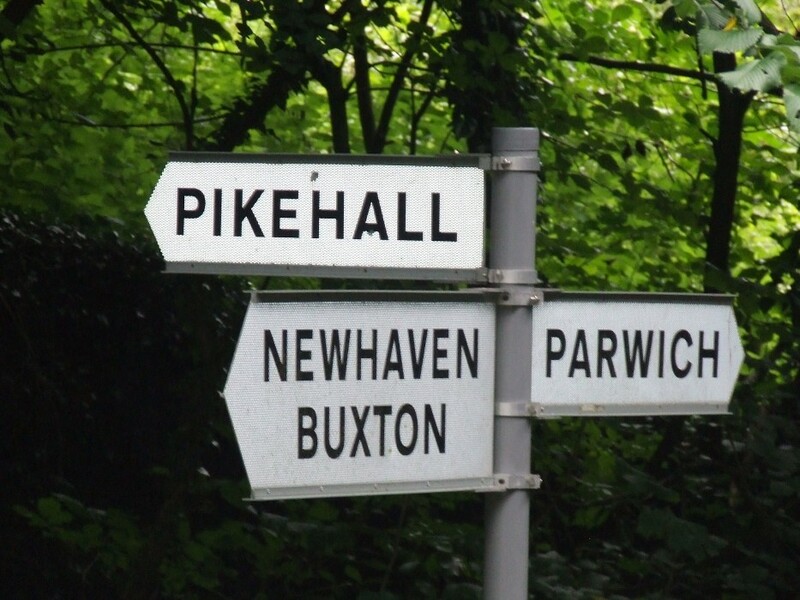 If you are not already familiar with the site you might like to look at Parwich & District Local History Society’s website. We have more information relating to the Parwich Brownsons to follow. Imagine my surprise to see an e mail from you when I returned home from a weeks vacation, I had almost given up hope that I would hear from anyone, and my surprise was doubled when I saw the beautiful photos and read the history of Town Head House. My Dad John Benjamin Brownson told us that his brother Philip had the bedroom on the top floor and his sister Laura and Governess had the other bedroom across from theirs. My Grandmother Fanny (Brooks) Brownson painted the house and garden with gazebo of which I am trying to get a copy made to send to you – although it is going to take some time, I gave the painting to my daughter Joan, she had it repaired and framed, and is trying to find someone to take a picture of it to send to you. I cannot thank you enough for those great pictures and article. Where can I obtain the date of first owner and each owner and dates from the beginning. would they be in the deeds office? any information would be greatly appreciated. 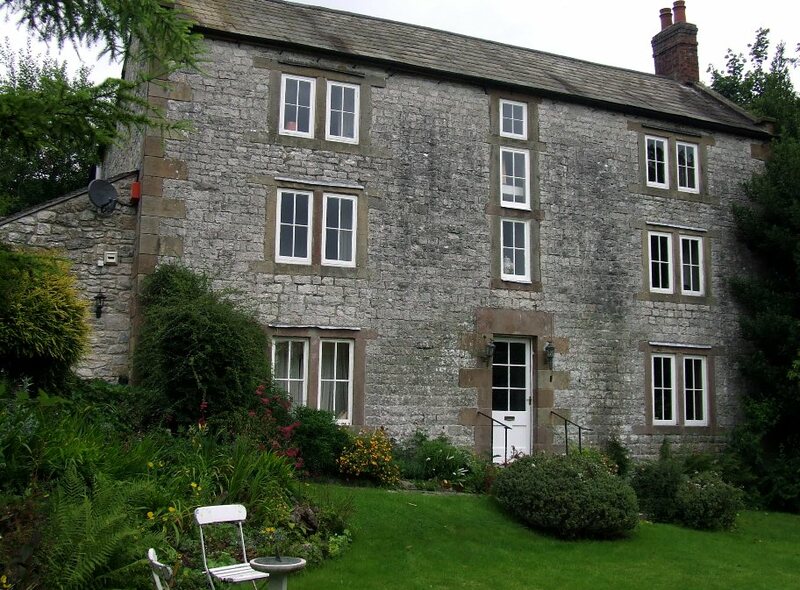 I understand the house was built by the Brownson family in the early to mid eighteenth century (though I have no definite evidence for this) and remained in their ownership until the twentieth century. The Land Registry will not have this early information, which if exists at all will be on the property deeds, which hopefully were not lost when the house would have been formally registered in the latter part of the twentieth century. If the deeds still exist they will be with the current owners or their solicitors. The house if owned by the family all this time will also appear in family wills. Parwich wills are general held in the Lichfield Records Office. I was very interested to see your entries on the blog here. I’m in the middle of compiling my family tree and think Fanny is My great great grandmother (I’m 32), as one of the Parwich sons (A. Benjamin Brownson, my great gardfather) was cut off from the Parwich family as he married ‘beneath’ him in Wales. I think his father may have been William Benjamin. I wonder whether you might know anything of this or whether you might have access to records that may fill in some blanks for me? I’m eager to Know what the ‘A’ in his name is also. I’m really eager to hear from you. Hello Gillian, My goodness I was happy to see your post re the Brownsons, I have been working on this (on and off) for years, not getting very far, anyway My father’s name was JOHN BENJAMIN BROWNSON md OLIVE MARY SWIFT from Matlock, He was in France during WW1 came home to find his Mother had re-married, his Mother’s name was FANNY BROOKS from ROYSTON GRANGE, she was married to WILLIAM BROWNSON he died after returning home from CANADA. she remarried ARTHUR FELIX SIMPSON WHAT ARE YOUR MOTHER AND FATHERS NAMES? iT MIGHT HELP. My father was also disowned by his family in Parwich, because he married beneath himself. Strange isn’t it? My e mail swift5947@aol.com I can send a few dates etc. I was so pleased to read the entries on this forum as my Grandmother was Flora Ann Brownson daughter of Arnold Brownson and direct descendant of George Brownson of Parwich (bn1714). My cousin has spent many years researching the Brownson “Parwich” family tree and put together an extremely interesting website on the Brownson family. Please feel free to contact me at amspragg@yahoo.com if I can be of help. What is the web site that your cousin has put together? I am researching the surname Brownson, if you wish to contact me please feel free to e-mail nigel_brownson@yahoo.co.uk. My family line moves in geographical terms from my home here in Coventry travelling backwards through the family line to Tamworth in staffordshire then back to Armitage, Pipe Ridware and then into Derbyshire. I have found a large number of Brownson’s in the Parwich and surrounding area. The earliest known link is to a William Brownson who was born in 1690 and died in 1753, he is buried in the church at Parwich and his grave stone is still clear. I loose the trail here but have always thought that there must be a connection to the Brownson’s who were living in Earles Colne in Essex from the early 1500’s. If you have anything you want to share please do. I have some information stored on my computer that I am happy to pass on. My mother was a Bronson and I have been trying to trace her ancestry. I have only succeeded in going back to Cornelys at Earls Colne, Essex and am not certain of the accuracy of my information. All I know about George is that he inherited Parwick Hall, apparently from his father. But I know nothing about his father or anyone preceeding him. Any information you can share with me would be wonderfully appreciated. My mother ws a Bronson (Brownson) and I am trying to trace her ancestry for her. The earliest info I have is on a Cornelius Brownson, son of Cornelys Brownson and Cornelia, who apparently was born in Earls Colne, Essex and died in Parwick Hall, Derbyshire. Info regarding the American part of the family is fairly available but getting information regarding the family prior to its arrival in the US has been really difficult. If you can help me, I would truly appreciate it. Hello Nigel, I have tried to e mail you, but i must be doing something wrong, could you please e mail me back inorder to contact you properly? It’s lovely to hear from you, my e-mail is as shown in the previous message. If you still cannot get through with this perhaps you could post your e-mail address on to these pages. For the interest of all those who are connected to the Brownson family name, I am in contact with a few who share it. These are in England and Canada, the Canadian link is from two separate migrations as far as I can tell. The first people left England and settled in the USA and later the family moved in to Ontario in Canada. One of my uncles also left England after the war and settled in Peterborough, Ontario. My aunt and cousins are still there. My Grt Grandfather, Arnold Brownson moved to Scotland where he and his children married into Scottish families from Inverness and the surrounding area. His daughter Flora married my grandfather from Edinburgh. Recently I was assisting my niece with our family tree when I came across something that may or may not help you tie-into the Brownson’s in Earls Colne. Cornelius born Abt. 1515 in Earls Colne, Essex Co., Eng., and died Aft. 1560 in Parwich Hall, Derb Co., Eng. John Brownson, Sr., born Abt. 1548 in Earls Colne, Essex Co., Eng. ; died Abt. 04 Feb 1623 in Earls Colne, Essex Co., Eng..
Priscilla Prisc Brownson, born 12 May 1560 in Earls Colne, Essex Co., Eng. ; died Unknown. I am a descendent of John Brownson; Please note Cornelius Brownson died in Parwick Hall, Derb Co., Eng. I could not find a record of his children however I’m still in the early stages of my research…..I hope this helps. Not sure if you still use this email address as your inquiry was in 6 years ago but I was visiting my family back in Ontario Canada, this summer (my husband and I live and children now live in London UK), and my cousin has done extensive work with the family tree. If we are talking about the same Corneilous Bro(w)nson who she has researched and found to have been born in Earls Colne Essex, England in 1525 and died in 1576 in Parwick (could be Parwich) Hall Derbyshire, England. You mentioned that you are a descendant of Corneilous Bro(w)nson’ son John Bro(w)nson who had a sister Priscilla Bro(w)nson. I too am a descendant from that line. My cousin has produced a hand written family tree, sorry she is not handy with computers and avoids them. But she has produced a family tree which starts with Cornelys Bronson (b. 1490) who lived in Earls Colne Essex and was the father of Corneilous Brownson (who I’ve mentioned above). She goes down through 14 generations to my father’s family. So I would be the 15th generation and my children the 16th and my grand children the 17th.. If you are interested in a scanned copy of the record I have, I can send you one. It may show where our families deviated over the years but it appears we are distant distant cousins. I think we are fairly closely related both coming from Hastings Co., Ontario and descendants of Martin Brunson who settled in Rawdon Twp. I’ve been tracing descendants of Martin’s father Ensign Daniel Brunson for a few years finding cousins spread across Canada and the U.S. I would be most interested in viewing a scanned copy of tree your cousin produced and would be delighted to share my research with you. I hope you still look at this, I also am a blood relative of Cornelious Brownson from Earls Colne Essex England. I read the above Msg and you stated you have a copy of a record, I would love it if you could scan me a copy of it please for my records here in Florida. I have 11 gens back but I also have 3 gens forward of me. Any info you could send me would be great. Thank you very much in advance. I’ve scanned the family tree but can not see where I can post the photos online. If I had your email address I could send it to you directly. I’d like to send this to Charles C Brunson. Colne, Essex Co.Eng. and then to Conn. and to Oregon. I’d love to learn more about your side of the family….if you have your tree on ancestry.com send me an email at chris-bronson@hotmail.com I would love to check it out and see where we overlap. Interested to read about your Brownsons, I have two branches of Brownsons in my family tree, and suspect there is some connection further back but have not made any yet! I also suspect that they have a connection back to Parwich but no evidence. The main reason for my Parwich assumption is the cluster of Brownsons there, but also there was a visitor/farm hand on the census from Parwich, and they ended up a day’s travel from there. The one branch were in Brailsford for a few generations, with some connection to Derby. The other branch lived in Cubley and Marston Montgommery, decendants of this family then moved to Pipe Ridware which I think I have seen on this web page or the Google summary. My 3xGt Grandfather James Brownson (1821-1880), a sadddler from Brailsford, was a biggamist doing a runner to London and living under the name Bramston, his first wife was the daughter of Ellen Turner nee Brownson (1781-1867), they were farmers from Marston Montgommery. Ellen Turners father was Thomas (1750-1836), his father George (1713-1764). James Brownson’s father was also James (1785ish – 1848), I’ve not managed to trance that line any further back. I don’t have the family tree in a conventional form but as a one sheet sort of pedigree tree (it can be printed at A0 and read, just, I can send it as a PDF if you are interested. Sorry the website is only photographs and none of Parwich but the Peak District does feature strongly so you might be interested! I am currently researching Henry Brownson (no relation) who was residing on Gold Hays Field Farm Pipe Ridware during the 1961 census and was 7 years of age. The census indicates that Margaret Brownson, “Head” and widow was born in Marston Montomery, in the county of Derbshire whilst Henry Brownson was born at Dunston, in the Parish of Penkridge, Staffordshire, where i have lived for the last 30 years.i would be interested in passing on more information about H.B. and would be interested in obtaining information about his family, who at the time of his death where residing in Kingsbury, Tamworth. What a suprise I had to find so many Brownsons interested in their family history. I have been tracing my link with the Brownsons for some time now and just by chance thought I would put in George Brownson’s name into search and see what came up. My link with the Brownsons is:- My Great Grandmother was Mary Ann Brownson her father was John Brownson and his father was Thomas Brownson who was married to Margaret. Margaret, I think was formaly Margaret Appelby who had a sister Catherine, the two sisters married two Brownson brothers, Catherine married John Brownson. Has any one out there come up with the same results? If so I would love to hear from you. My other question is:-Is it possible that these Brownsons are linked to the William Douglas of Scotland? Looking forward to hearing from anyone with the same Brwonson interest. The names you mention sound familiar, I have an Ellen Brownson brother of John in my family tree, father Thomas. Ellen was born Marston Montgomery 01/07/1781, Thomas her father I have married to Mary Adams 10/05/1777 at Somersal Herbert. Thomas I have christened Cubley 1750. What dates do you have for your family? Hello Patricia, If you go into my web site you will find the believed link to Mary Queen of Scots plus some info on the purchase of a silver goblet belonging to Charles Edward Stuart. My cousin who has supplied the history reports that her grandmother, age 16 at the time of the sale of Mary Brownson’s estate, told her how her father had bid against the Duke of Portland, a Stuart, to get the Parwich jug. He succeeded, but could not afford to bid for any more memorabilia. There are other researchers who believe a different story. !! The link to Mary Queen of Scots is an interesting one, and a strong tradition in a number of branches of the Brownson family. Unfortunately no one named Brownson has been identified in the Queen’s retinue while she was prisoner in this area. The local tradition is that the ancestor of the Parwich Brownsons, marrried a girl in this area after the Queen’s execution and adopted her family’s name, which makes tracing the link difficult. Parwich Local History Society would be interested in any information on the history of the Brownson family in Parwich and Alsop (contact via parwichhistory@hotmail.com ). I am very interested to learn more about the Brownson family as i don’t really know much i believe i may be related to Nigel Brownson as im also from Coventry and know that’s my uncles name. my father is Colin Lee Brownson and my grandfather was Peter Brownson i believe my grandmother Marjorie thelma brownson previously proctor would love to know more. The Earls Colne Project found no evidence of Cornelys’ birth or parents. What is your evidence of his birth? Apparently his name, according to them, was also Cornelius. This is because spelling was phoenetic and not established. He had two children; John and Priscilla. John, buried as John Sr., married Phyllis/Joan (both names recorded in church records). John had Roger, who married Mary Underwood – John, Jr., who married Elizabeth Layre – Alice, who was buried at Earl’s Colne. Rogerhad: Roger, who died as an infant; John, Jr., who married Francis Hills, who died in America; Edith, who married John Evered/Everett; Cornelius, who married Martha Gulson/Goulson and was buried at Earl’s Colne; Alice, who died young; Richard, who married Abigail Weyborn/Wyborn and died in Farmington, CT; Elizabeth, who died as an infant, and Mary, who married Nicholas Desborough/Disborough/Disbrow and died in America. Can you tell me the evidence that a Cornelius, related to our Brownsons, died in Parwich? I have found nothing and would appreciate help. Ancestry.com has unverified information. A group from Cambridge University in England did a multiple year study on Earl’s Colne and made church, manor and other records available after translation. I too started out with Cornelius having a son named Cornelious/Cornelys. I can only verify info starting with Cornelys/Cornelious and even then can’t verify dates of birth or death. He married Elizabeth ?. She survived him and later married a Mr. Hovell, who she also survived. I have a copy of her will. I have evidence of 2 of Cornelys’ children, John (Sr.) (married Joan/Phyllis, both documented) and Priscilla, and am researching the possibility there may have been other children. Check earlier posts from me to find further ancestors, all of which are documented. 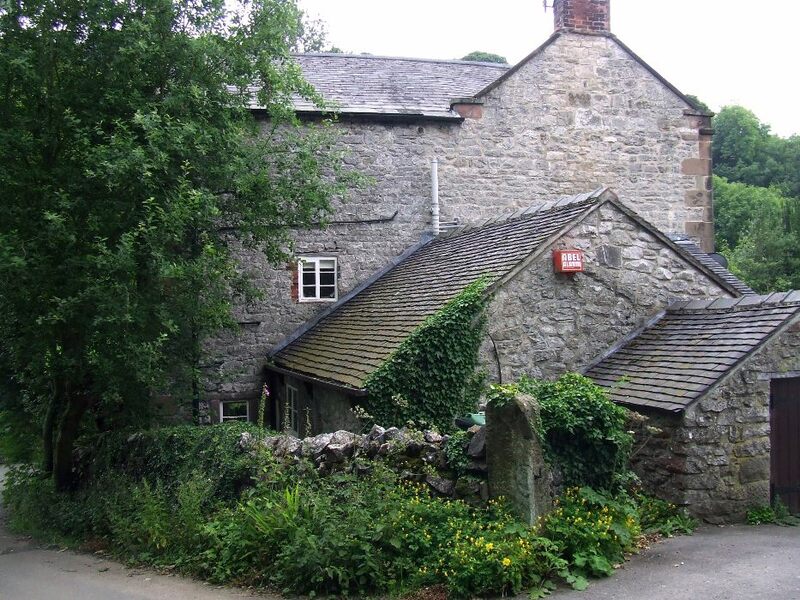 I have a family tree starting with Cornelys Bro(w)nson b 1490 om Earls Colne whose son is Corneilous Bro(w)nson b1525 in Earls Colne and d 1576 in Parwic(k)(?h) Hall, Derbyshire married to Elizabeth Hovel b 1526 in Earls Colne d. 1616 and they had a son John Bro(w)nson married to Joan and John had 3 siblings, Elizabeth, Richard and Priscillia. I can then follow down from the Cornelys (1st generation) to the 17th generation of my family. Not sure if you fit in there somewhere or not. My cousin has done a laborious family tree, all written by hand and gave it to me this summer when I was visiting in Ontario Canada. I could scan in a copy if you wish. If it helps it shows they had two other children on ancestry. Richard born in 1550 and Margaret born 1562. I can find no documentation though. The will I saw listed a son, Lancelot Dirrick in Suffolk and an unnamed daughter married to Henry Cocke. It also shows Elizabeth’s maiden name is Hovel. Her parents were Robert Hovel and Margaret Knapp. I’m glad to find the info on ancestry but really want documentation to back it up. Thanks for the info! Good luck in your search.